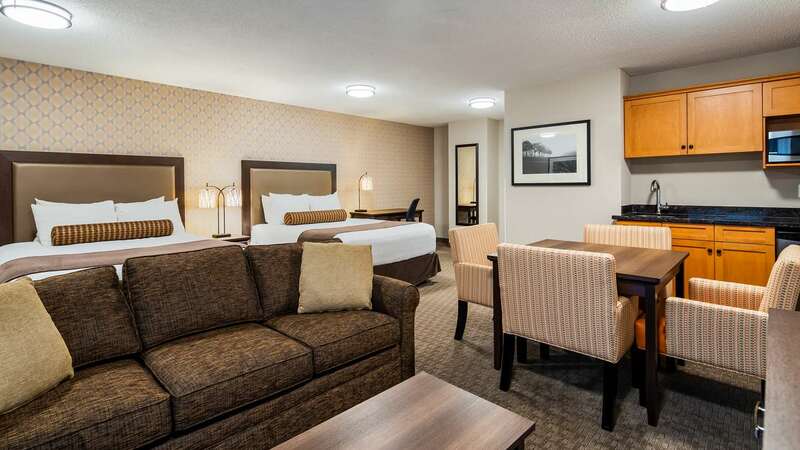 At the BEST WESTERN PLUS hotel in Aldergrove, we are pleased to offer the following hotel suites and room options. 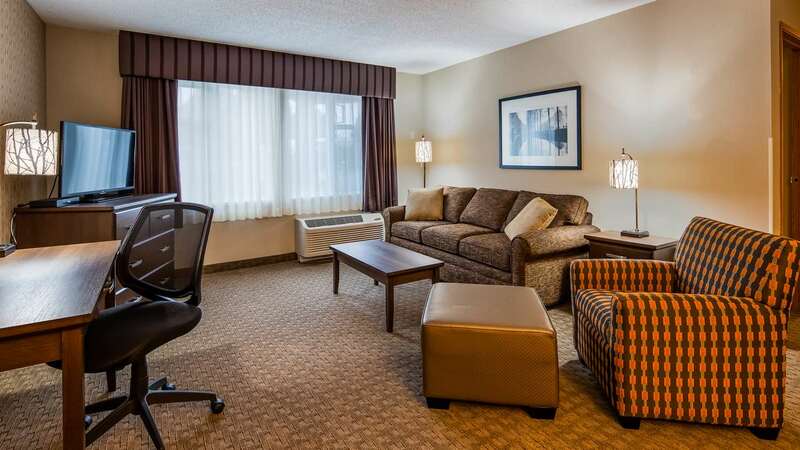 All hotel suites are equipped with great amenities giving you that feeling of being right at home. 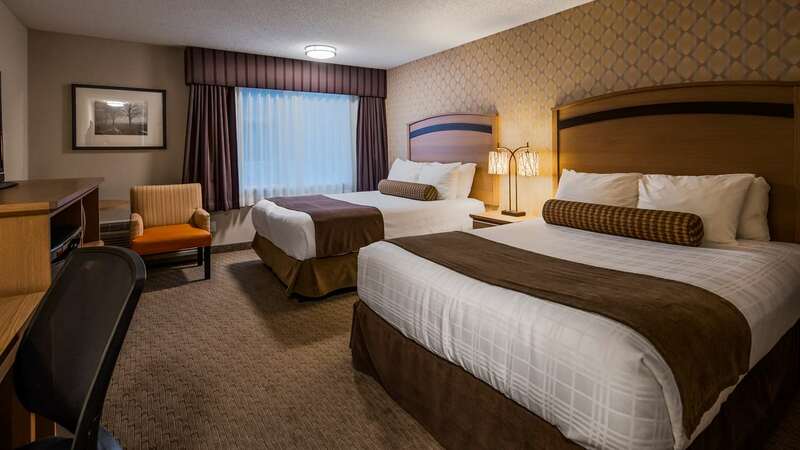 Contact us with any questions or inquiries regarding our hotel rooms or to book your stay today! 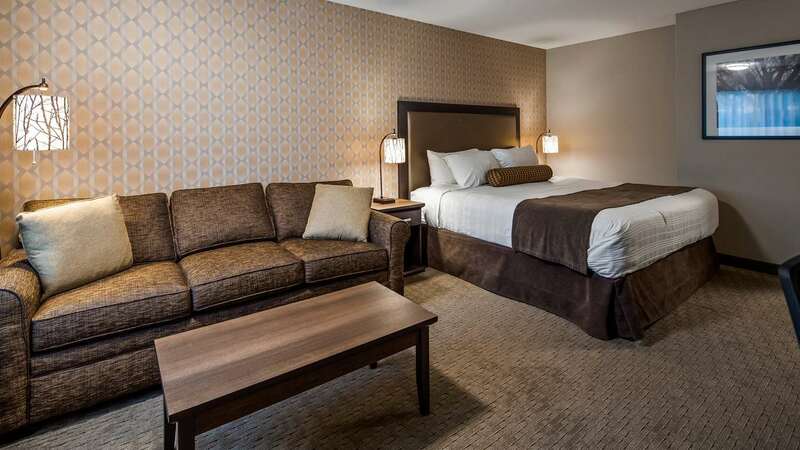 Two Separate Bedrooms with One Queen Bed in each and separate 39” LED TVs.